KAMPALA – The dispute between Uganda’s telecommunications giant MTN and Museveni government may be far from over, but decade-old intention to open up the company to wider Ugandan participation provided President Yoweri Museveni and MTN to Group chief executive Rob Shuter straws to cling on it, as they pulled back from the brink of a potentially damaging standoff over the company’s future in Uganda. 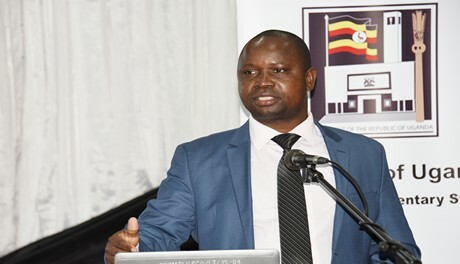 In a new twist, National social security fund, (NSSF) managing director Richard Byarugaba has declined to discuss any potential deal with MTN Uganda. However, independent analysts say that although a stake in the company would hypothetically spread Uganda’s participation in the company to the 2.5 million members of the Fund’s register, in real terms it would not amount to more than an eight per cent stake, because of restrictions on NSSF’s asset classes. Currently, the fund is allowed to invest up to 25 percent of its Shs10 trillion ($2.7 billion) assets in equities. Current exposure to equities stands at 16 percent, leaving a margin of 9 percent or Ush900 billion ($243 million) available for further investments in that class. At MTN Uganda’s current valuation of Ush7.2 trillion ($1.9 billion), that money can only buy eight percent if NSSF chooses to take on that exposure. It was not immediately clear if such a stake would placate President Yoweri Museveni who, in the remarks made at Davos, accused players in the telecommunications sector of cheating on taxes through under-declaration of earnings. He has also alluded to the impact of repatriation of profit by foreign firms on exchange-rate stability. Besides, it is at odds with a new ICT sector policy — yet to become law — under which players in the telecommunications sector will be required to list 30 per cent of their stock on the local exchange. 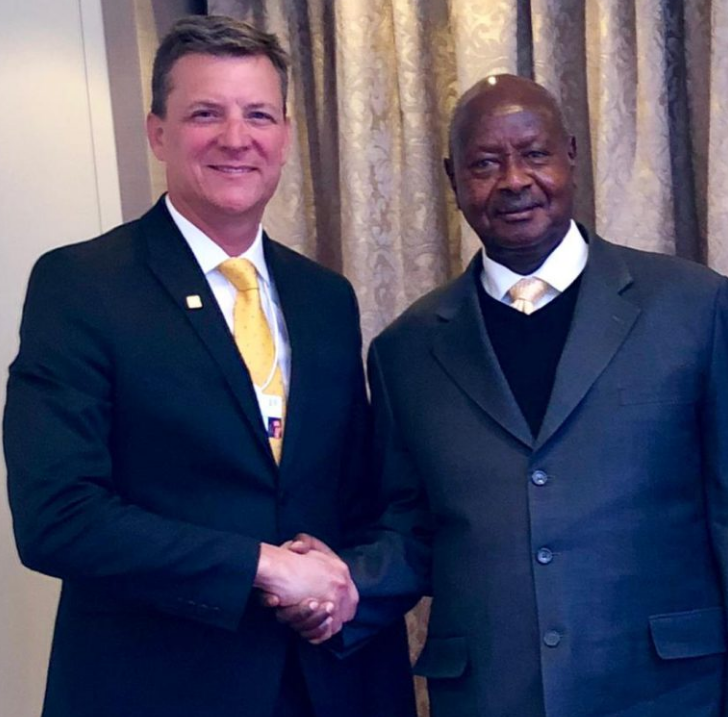 President Museveni had protested what he saw as an unwarranted discount when the Uganda Communications Commission allowed itself to be bargained down from $100 million to $58 million for MTN’s 10-year licence extension. President Museveni’s view, communicated in a letter to UCC, was that MTN should pay more for the licence since it was repatriating 95 percent of its profits from the country. That letter created a stalemate that saw the deadline for a new license for the telco to lapse on January 20. Following the Davos compromises, the UCC was on Friday expected to announce a three-month interim licence for MTN. MTN International controls 95 percent of the stock in MTN Uganda. Businessman Charles Mbiire holds the solitary Ugandan stake of five per cent in the company. That skewed ownership has been interpreted by many commentators to mean that 95 percent of profit is repatriated from the economy. But, in presentations to the Uganda Revenue Authority, MTN has in the past argued that only 12 per cent of its net revenue is paid to shareholders, 32 per cent is retained in Uganda as taxes and government fees, while 18 per cent is ploughed back into the network. It is this concentrated external ownership structure that has made the company vulnerable and has fed into current concerns over its potential impact on the stability of the Ugandan economy. 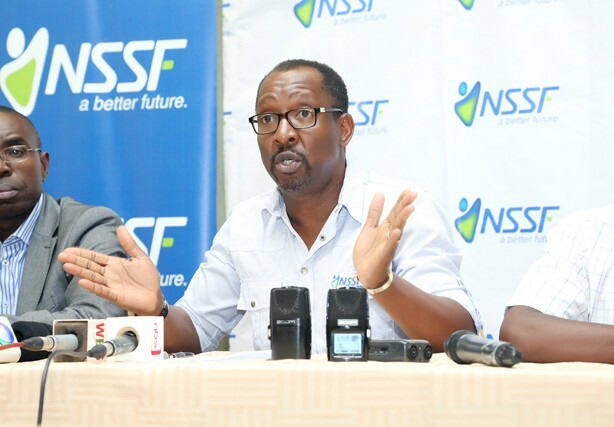 While the share offer to NSSF is being touted as a new proposal, we have learnt that it has been the subject of ongoing discussions between the company and the Uganda Capital Markets Authority for close to 10 years now. MTN has been averse to open listing on the Uganda Securities Exchange, arguing that it could become exposed to dirty money. The company first expressed its intent to sell a stake to the NSSF in 2008, but then the Fund got embroiled in a governance scandal that made the telco view it as constituting a reputational risk. He wondered how safe are peoples’ telephone conversations if top managers are complicit in tampering?